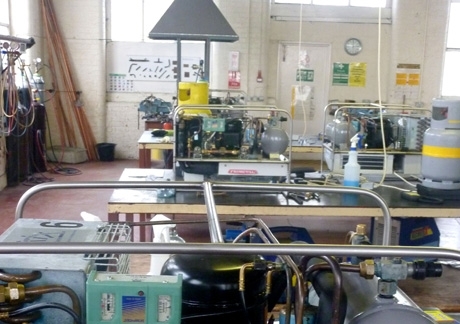 Practical Refrigeration Training Centre Ltd is an independent learning provider established in 1991. We provide formal & bespoke training specifically in Refrigeration, Air conditioning/ Heat Pump and Electrical related disciplines, to meet the needs of Lancashire businesses, with an emphasis on carbon reduction, energy efficiency and environmental impact. Aimed at novice and practicing engineers as well as building owners/users to aid compliance with current energy building regulations/legislation. All courses will emphasise the importance of key environmental issues, which will enable and give personnel and the wider business community the opportunity to improve building and system/s performance by conserving and reducing energy usage, most importantly giving the clientele the understanding of maintenance requirements/responsibilities, which may include a need for an appreciation of design and installation impacts. Our success is in recognising the business needs of companies wanting to contribute to the low carbon economy aim; this will ultimately improve operational plant/system and building performance. Fully accredited to deliver a comprehensive suite of formal qualifications for City & Guilds and CITB Construction Skills from basic introductory level through to advanced design. We do provide a tailored training and advice and guidance service to meet legislation requirements aimed directly at end users and operatives. As a leading educational establishment we promote and support industry and educational progression working with awarding bodies and institutes. We have regular attendance at National training awards, we believe wholeheartedly in promoting and recognising student success. With an increasing need for buildings to become energy compliant with key changes in how we use our energy, we are working collaboratively with like-minded bodies and businesses from a diverse field to tackle and address skills shortages in Lancashire ensuring businesses are aware and best placed to meet their targets from an environmental perspective now and in the future. Engagement is fundamental to our business beliefs and we work collaboratively with business partners to ensure progression. We work with two large National training providers to deliver all of their NVQ/Diploma provision in Refrigeration and Air conditioning heat pump technologies. 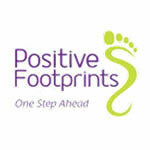 We are a Boost Business Lancashire partner organisation working to promote and support the diverse needs of businesses’. We have training and industry expertise to provide solutions and offer appropriate advice and guidance. Working with Employers we appreciate their business needs and keep them informed of developments and industry change through employer forums, this is vital as the RAC industry moves forward with its obligation to meet its environmental targets. We have had a lot of success in National student/training awards over the past seven years, receiving recognition by the way of finalists, highly commended and winners. Having representation at every award we have entered, some of our students have gone on to be supervisors/mangers and design related personnel within their companies We are very proud of this achievement and we will continue to be supportive towards the next generation of students/apprentices, guiding them along their personal journeys.